Observing the complexity of different elements and systems found all throughout creation reveals that nothing short of an Intelligent Designer could be the engineer and architect behind everything in our physical universe. 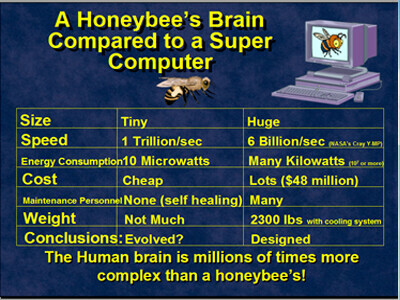 Here we will examine how every complex systems needs an intelligent designer to create, configure and maintain them. = DESIGN DEMANDS A DESIGNER! Just as a painting testifies there was a painter, a building is proof that there was a builder, and a watch is proof there is a watchmaker; creation is evidence of a Creator. Created, intelligently designed complexities always display intent and purpose. Designs and engineered products must have purpose and planned intent or they would not have any function and would not be able to interface with anything else that exists. Created objects must have an original intelligent creator or they would not exist. Could a tornado going through a junk yard AND assemble a completely WORKING 747 Airplane? 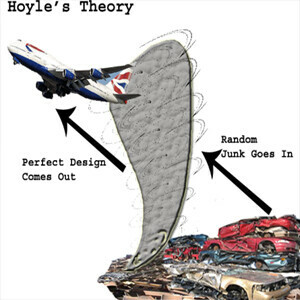 Hoyle’s theory was the statement comparing Darwinian Evolutionarily claims that random chance of elements tumbling together could create life, to the likelihood that a tornado could create a Boeing 747 Airplane. This statement shows that just as it is impossible that a natural disaster could create a complex piece of mechanical ingenuity, evolution could not in the same way, through random chance, create something as complex as a living cell or organism. The comparison is a very good relative comparison as evolution depends completely on random variables of chance to randomly form each part of the complex systems of life. This reliance on randomly thrown together components is just like the unpredictable torrents of a tornado smashing and compiling together random parts in a junkyard to potentially create a fully operational airplane. 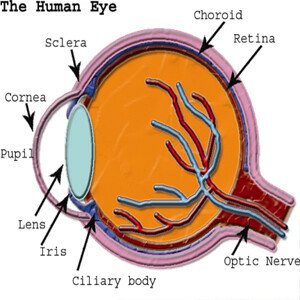 The retina of the eye is less than 1 square inch yet contains over 137,000,000 light sensitive cells! Scientists in Darwin’s time where completely ignorant of the inner workings of the cell. 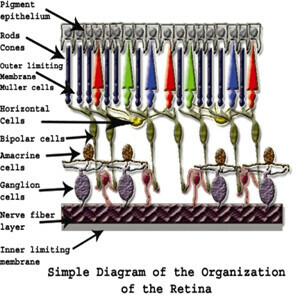 Cells and the actual chemical pathways in the eye that are required for sight are extremely complex. 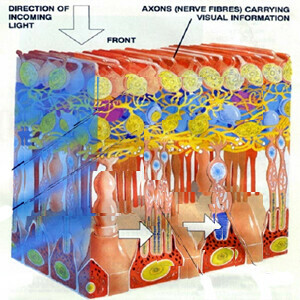 In order for images to be registered and interpreted by the brain and to maintain all the functions of the human eye, it takes an incredibly complex arrangement of photo-chemical receptors, nerve cells, electrical signals to and within the brain, muscles, tear ducts, skeletal structures, not to mention the absurdly complicated arrangement of molecules which make up the eye itself. The retina is a very thin and complex tissue lining the back of the eye. 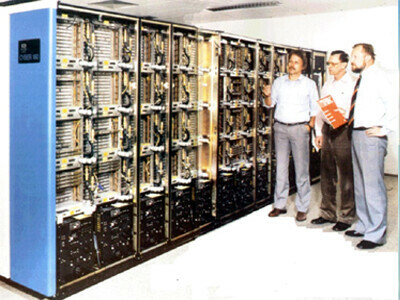 v 1.2 million nerve cells that collect billions of bits of information! Taking in consideration the most simplistic assessment of everything that makes the eye work; we know that the entire arrangement of every sub-structure within the eye has to work in conjunction with each other, or the entire system would NOT work! Rather we find that every adaptation in every organism is the result of already pre-programmed genetic information, already available in the organism’s genetic code. Could we infer that evolution could possibly be responsible for the creation of the eye through gradual changes, random re-scrambling of genetic programs that would eventually produce or ‘form’ this organ over millions of years. To think that such an organ as the eye could be randomly formed by various genetic changes in the DNA code is absolutely absurd. There are various forms of eye that exist in nature today, from photo-sensitive cells to simple eyes to compound eyes, but all are extremely complex and completely useful as intended by design in each of these organisms for their intended purposes. It has been portrayed that the difficulty of swimming through water on a microscopic scale would be similar to the viscosity of having to swim through peanut-butter on a human scale. In order to achieve this bacterium must have an extremely complex mechanism to be able to move through such dense liquids. 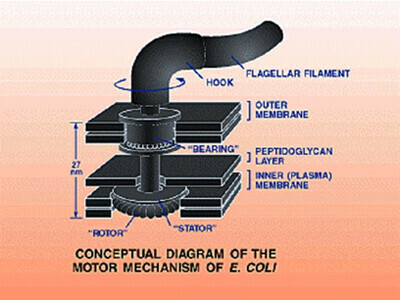 For example the E. Coli have a mechanism for movement so advanced, few motors today would even be able to compete, without even taking in account their size. It is estimated to rotates up to 100,000 rpm! This motor is so tiny that 8 million of them would fit in the cross section of an average human hair! A hair from a bacterium is like a complex motor! 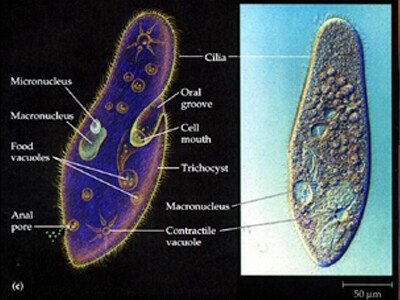 The paramecium is a single celled organism but it is far from being simple. 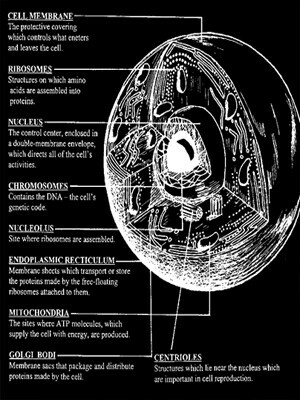 Just like any other cell, it is extremely advanced. This organism displays functionality and is able to interface with its environment perfectly with each of its designed features. No complex design can come into existence through random acquisitions without intelligent, intended input.